A new box has arrived this morning from Shapeways with my alterations done, it contains some coloured plastic designs along with a metallic plastic test for one. I love it! I will take photos of them to show them off. I am currently addressing notes I gave myself on my painting skills as well after seeing the photos it took a while ago. 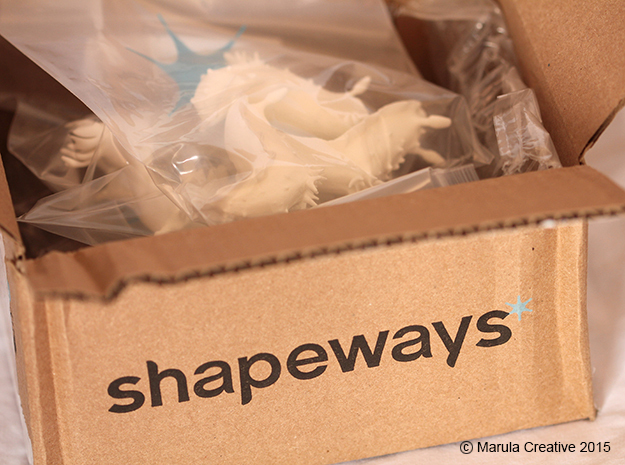 I’m finishing the setup for my shops on Shapeways and Etsy and started some social media advertising setups also.